Four Advantages of Selling a Home at Auction | Wilson Auction & Realty Co, Ltd. If your home has been on the market for a while and you haven’t reached the buyers you would like, then you should consider selling your home at auction. There are numerous benefits to this alternate form of selling, and it may be something you want to think about. 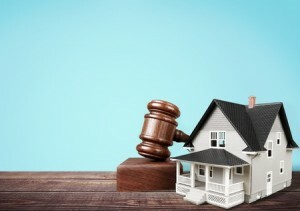 Here are four major benefits of using an auction to sell your home. When you put your house on the market yourself – or even with the help of a real estate agent – you can only expect to reach so many people. In an auction setting, you are dealing with an auctioneer whose business it is to sell homes just like yours. Eager buyers attend auctions to find great homes like yours, so you could widen your pool of potential buyers and complete the sale in a single day instead of weeks or even months on the market. Many people believe that selling their home with an agent is much cheaper than selling the house through an auction, but they are only half right. Sure, the commission that the auctioneer receives can be slightly more than an agent’s commission, but going with an auctioneer will save you money in the long run because an agent could end up costing you more in maintenance fees and taxes, notes the Chicago Tribune. These are costs that you won’t get with an auctioneer. When you sell your home through an auction, the options for your potential customers expand significantly. For one, buyers don’t have to come to your home. With online bidding options available today, you can expand your pool of prospective buyers to include online buyers. This can help to drive up the bids on your home as well, possibly even resulting in a higher purchasing price. Speaking of prices, most home auctions draw a large pool of interested buyers, which means that there could be a great deal of competition over your home. If your property appeals to a number of buyers, you could see two or more bidders get into a bidding war, driving up the price and resulting in more money in your pocket. Unlike selling on the market, where you list a sale price and offers generally come in around that asking price, an auction could result in a price going higher than you expected! If you think that selling your home at auction is right for you, give the team at Wilson Auction & Realty a call. We have more than 150 years of combined experience on our staff, and we know the industry inside and out so you can trust that we’ll be able to handle every step of organizing and holding your auction. If the time to sell your home is now, then give us a call today at 419-636-5500.